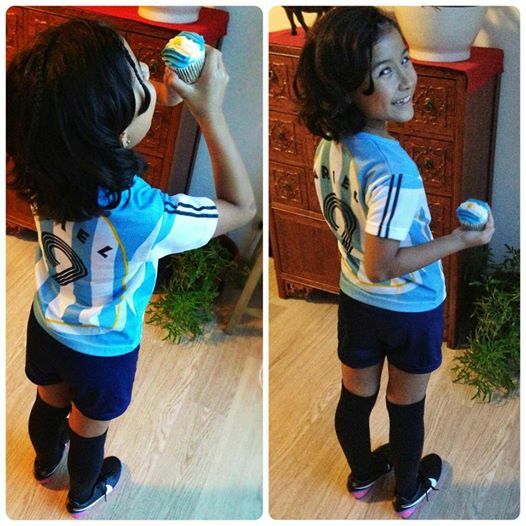 Made special sweet treat for Little Miss to celebrate her favorite team going to the World Cup 2014 final, she even dressed up for the occasion. This entry was posted in celebration, Cupcakes, favorite, note from the baker and tagged argentina, argentinian flag cupcake, baked from scratch, cupcake, football, Gift Ideas, Little Miss, love, Manila, sweet treat, worldcup 2014. Bookmark the permalink.